Office Location: Perrysburg, OH. Employees can also work full time from this office. Critical Mix provides easy access to highly-targeted global survey respondents, survey programming and data visualization services for market research and consulting firms. Driven by a passion for simplifying data collection, the team at Critical Mix is personally invested in giving clients the ultimate customer service experience. 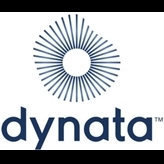 Want to get notified about new jobs at Dyanata?